Do you ever find yourself short on an ingredient when cooking or baking? Most of do, and sometimes it isn't convenient to run out and get what you need. Instead, thanks to www.bhg.com, if you're missing an ingredient, all you need to do is come and check out their comprehensive list of ingredient substitutions and hopefully before long, you'll be back on track with what you're making. 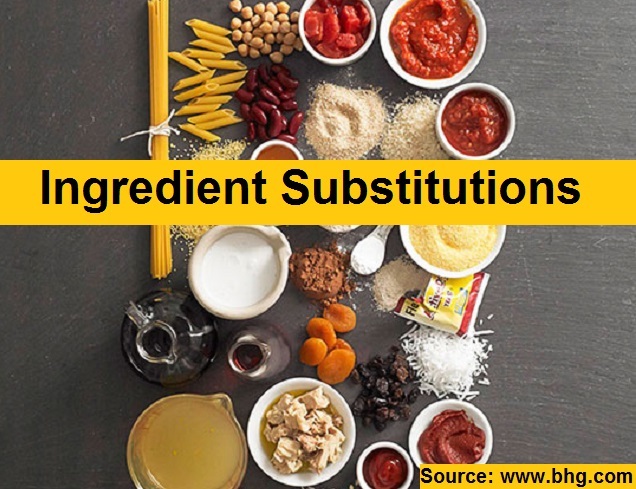 Click on the link below for a helpful list of common ingredient substitutions.